Cloud Star Buddy Rinse Conditioner Lavender & Mint 16 oz. Say goodbye to tangles and hello to snuggly softness with Buddy Rinse. This deep conditioner is specially formulated to moisturize and revitalize without the use of harsh ingredients. Made with pure botanical extracts and natural oils, it will leave your dog's coat shiny, soft, and tangle free. With the mild and calming scent of Buddy Rinse, bath time will undoubtedly lead to snuggle time! Cloud Star Buddy Wash Shampoo Green Tea & Bergamot 16 oz. There’s nothing like snuggling up with your furry friend after a bath with Buddy Wash. This gentle two-in-one conditioning shampoo is specially formulated with natural cosmetic-grade ingredients, including botanical extracts and essential oils for lasting freshness. 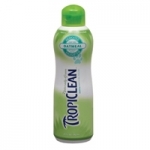 Tropiclean Spa Fresh Facial Scrub 8 oz. 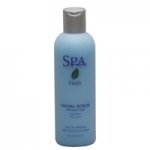 This mild yet concentrated, lightly foaming facial cleanser soothes and balances. It has natural exfoliating activity and is slightly hydrating. The refreshing blend of vanilla and blueberry effectively removes dirt and tear stains, and will not sting eyes. It is great for all skin types and all ages of pets. 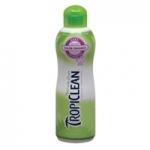 Tropiclean Kiwi Conditioner 20 oz. TropiClean's advanced conditioning formula with intensified moisturizers soothes dry, sensitive skin. Rich botanical conditioners create a healthy sheen. Eliminates static and tangles, leaving the coat soft and easy to comb. Tropiclean Kava Shampoo 20 oz. Kava Shampoo's unique highlighting formula gently cleans and conditions while making your pet's coat brighter. Rich botanical conditioners make brushing easier while preventing dry skin and tangled hair. Wheat Protein highlights all colors naturally. Kava Shampoo leaves the skin and coat soft, shiny, and looking great. 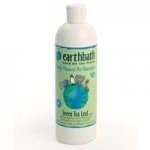 Earthbath Hypoallergenic Grooming Foam for Dogs 7.5 oz. Rub on, towel off. Gentle cleansers whick away dander, dirt and residual saliva, helping resolve human/dog allergies and leaving the coat with a plush, show quality shine. Helps control shedding too! 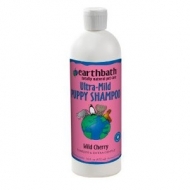 Precious puppies deserve tender loving care, so earthbath crafted this extra-mild shampoo just for your frisky young pup. Earthbath Oatmeal & Aloe Shampoo 16 oz. 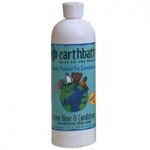 Earthbath Creme Rinse & Conditioner 16 oz. Earthbath Shampoo - Hypo Allergenic - 1 Gal. Some of our beloved furry friends have skin allergies and sensitivities that can make it difficult to get clean and remain simultaneously happy. 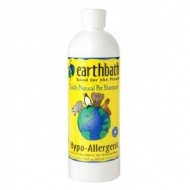 Earthbath Shampoo - Hypo Allergenic - 16 oz. Tea Tree oil has an effective and beneficial ointment for hot spots, skin irritation, insect bites & itching. 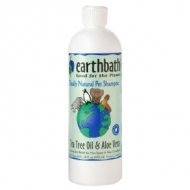 Earthbath Tea Tree & Aloe Shampoo 16 oz. Tea Tree Oil has long been recognized as an effective and beneficial ointment for skin irritations, insect bites and itching. 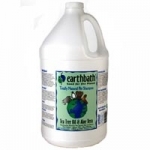 Earthbath Light Color Coat Brightener 16 oz. Earthbath Light color Coat Brightener shampoo adds extra sparkle and brilliance to the coats of light colored dogs and cats with the essence of lavender. Safe for dogs, cats, puppies & kittens over 6wks old. 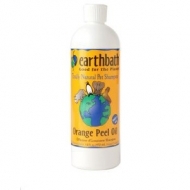 Earthbath Orange Peel Oil Shampoo 16 oz. This gentle shampoo contains fragrant d'Limonene, the natural oil rendered from orange peels. Pet professionals recognize d'Limonene as an effective deodorizer, degreaser, and fur stain remover which helps to calm & relieve common skin and itching problems associated with flea bites and other dermatitis. 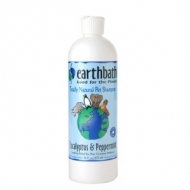 Earthbath Eucalyptus & Peppermint Shampoo 16 oz. Their fragrant oils help relieve pets of their most common topical skin problems while acting to cool and relieve irritated skin associated with flea bites and other dermatitis. Great for everyday use.